Weddings can be confusing to a four-year-old. My son is actively preparing for his role as ringbearer in a family wedding this weekend. By actively preparing, I mean we periodically hand him a pillow to hold and ask him to walk it across the room slowly. He’s been thinking about this a great deal. Randomly as we drive about town, he’ll call out questions about all this wedding activity from his seat in the minivan. There is no context for this question. We’re just driving along. We ‘re not in church and we haven’t been talking about the wedding. So, it takes me a few seconds to place his question and then it takes me a few more seconds to figure out an answer. Because—seriously—why does the flower girl drop flower petals to the ground as she walks? He also wants to know why he has to carry a pillow? Why will there be rings on the pillow? Why he has to look “handsome” in suspenders and a bowtie? And whether or not he can “run-walk” up the aisle (which apparently is a steady paced walk with an occasional quick-step shuffle forward thrown in). This is all before he’s even seen the rehearsal. I can only imagine the questions he’ll ask after he’ sees the full gamut of wedding traditions, including bouquet-tossing, candle-lighting, and more. For now, my little guy still considers mom and dad the official source of all knowledge. He brings us his questions about weddings and more in a fairly steady stream and he trusts us to know or to find out. That’s something I’m considering because I’m a question-asker myself from way back. I’m always the girl asking the most questions in any meeting or gathering. And that’s okay, because I’m also the girl who knows I can bring all those questions to Jesus. But they (the disciples) did not understand this statement, and they were afraid to ask Him (Mark 9:32 NASB). Jesus declared that He would be “delivered into the hands of men, and they will kill Him; and when He has been killed, He will rise three days later” (Mark 9:31 NASB). It makes sense to us in retrospect, but it didn’t make sense to the disciples at the time . He’ll be killed? He’ll rise again? They didn’t understand, but they were afraid to ask. Were they worried that Jesus would chastise them for not understanding? Were they too embarrassed? Did they fear the answer? Whatever the reason, the disciples didn’t trust Jesus enough to ask Him the question they all had on their hearts. In Judges 6 when God called Gideon to lead Israel to victory, Gideon answered the way I would have. “Pardon me, my lord,” Gideon replied, “but if the Lord is with us, why has all this happened to us? Where are all his wonders that our ancestors told us about when they said, ‘Did not the Lord bring us up out of Egypt?’ But now the Lord has abandoned us and given us into the hand of Midian…how can I save Israel? My clan is the weakest in Manasseh, and I am the least in my family.” (Judges 6:13, 15 NIV). So many questions might exhaust me as a parent, but God was always so gentle and patient with Gideon. He didn’t berate, mock, or condemn. Instead, He redirected Gideon’s need for answers to seeing that God IS the answer for the overwhelming and the frightening. “….Am I not sending you?….I will be with you, and you will strike down all the Midianites, leaving none alive.” (Judges 6:14, 16 NIV). He sent Gideon. He would be with Gideon. And He promised Gideon victory. The God whom we worship is not distressed by our questions. He knows that, like Gideon, we often feel weak, inadequate, or overwhelmed by life. He desires our honesty in worship and wants us to bring to him those issues, questions, and doubts that are on our minds. And here’s what’s true—the answers he gives might not always be what we’re looking for. We might not get details we want. We might not get the confirmation we’re looking for. But we will receive the reassurance of His presence and His character. He will be with us, just as He promised to be with Gideon. So, keep bringing your questions to Him and trust His answers. She stands under 3 feet tall, this baby girl of mine. With one hand tossed up to her hip, she stomps her feet on the ground twice, three times perhaps for emphasis, and screams, “Never Again!! !” in a voice that commands attention, if not respect. If she’s really upset, she might even engage in some finger wagging. My husband and I stifle grins at the sight of her: two years old and she could command an army. I’ve pondered this as I watched my baby–so assured of her own mind—turn into a toddler—set on sharing her mind. I can see the hints of leadership, yes, even authority crammed into the body and soul of a toddler. My Catherine reminds me so often of the seeds we planted in pots on our deck this year. They appear so small and yet inside an explosive force lies dormant, ready to break out of its shell and grow and grow and grow . . . and hopefully produce much fruit. 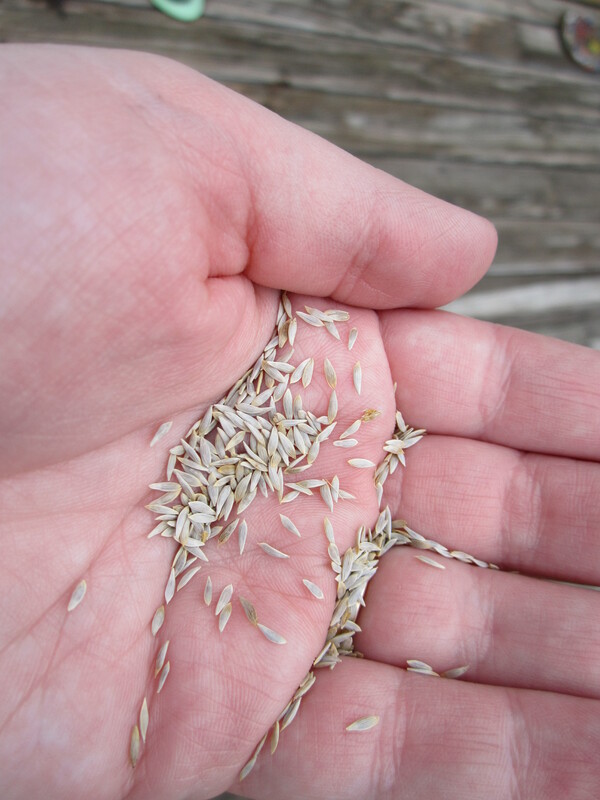 Holding that ordinary seed in our hands, we can’t begin to imagine the potential for beauty and nourishment within once it receives proper care and tending. The only hint we have of the future is the picture on the package. Sometimes even then we’re surprised. When we planted this year, we set aside one long planter for carrots and covered over about 20 seeds with 1/4 inch of dirt. Within a few days, shoots of green appeared. But strangely enough, they didn’t look like carrots. In fact, they looked identical to the radish sprouts now growing up in other pots. Maybe my daughters sprinkled some radish seeds in places I didn’t expect. Sometimes we look at others or ourselves and see plain, brown, ordinary, small, and insignificant specks. Mystery seeds. If we’re particularly imaginative, we might even think we see the potential for carrots, only to learn later that God really designed us to be radishes. Ultimately, God sees what we cannot. He recognizes all our potential for growth. He sees beyond our insufficiency and the trappings of our untrained immaturity and chooses circumstances, people, and training that will nurture, prune, and tend us into fruitful vines. This is what God did for Gideon. In a time when the nation of Israel was oppressed by the Midianites and foundering without a king or judge to lead them, God raised up a teenager to save his people. The angel of the Lord came and sat down under the oak in Ophrah that belonged to Joash the Abiezrite, where his son Gideon was threshing wheat in a winepress to keep it from the Midianites. When the angel of the Lord appeared to Gideon, he said, “The Lord is with you, mighty warrior. ” (Judges 6:11-12). Mighty Warrior? Who could the Lord be talking about? Surely not this youth doing chores for his dad! We read later that Gideon destroyed his dad’s altars to the false gods, Baal and Asherah, so Gideon wasn’t even a child of a faithful and righteous man. Even Gideon thought God meant someone else, answering, “Pardon me, my lord,” Gideon replied, “but how can I save Israel? My clan is the weakest in Manasseh, and I am the least in my family” (Judges 6:15). We may think he was right as Gideon puts God to the test repeatedly, asking for signs and reassurances of God’s command (Judges 6). Then on the eve of the battle, Gideon still feels afraid and God offers him further comfort and confirmation by allowing Gideon to overhear the enemy and how assured they were of defeat (Judges 7). In fact, even when the battle is over, won with only 300 Israelite soldiers against an overwhelming Midianite army, it still seems odd that God could call Gideon “Mighty Warrior.” After all, there’s no question at all who was the Mighty One. The battle was the Lord’s; Gideon was just yielded and usable. The truth for Gideon and the truth for us is that God looks at us and sees beyond all of our failings and fears. Not only that, but He’s also not limited by our skills and talents. He doesn’t see the potential of what we can do on our own; He sees the potential of who we are with Him. 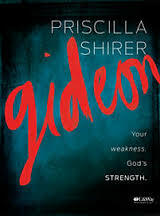 With God, Gideon was indeed a mighty warrior. That’s why when Gideon asked how any of this would be possible, “The Lord answered, ‘I will be with you” (Judges 6:16). That is the promise He has for us–His presence, His help, His guidance, His reassurance when we are afraid. All He requires from us is trusting obedience and the willingness to embrace His plans and His designs for our future. My oldest daughter wants to be a ballet-dancing scientist and teacher (not a science teacher, mind you, a scientist and a teacher who also does ballet on the weekends). My middle daughter wants to be a magician who also tells jokes (thanks to the program we saw at our public library this summer by a very funny magician-entertainer). I can’t even count how many possible careers I once considered to be the definitive answer to, “What do you want to be when you grow up?” Pastor, college professor, librarian, pianist, lawyer, editor, teacher. Any and all of them were on the list at some point. Most of them probably still are on the list if I’m being truthful. The thing about life is that so often we’re looking for that one overarching purpose. What were we made for? What did God put us on the earth to do? And if our answer is at all ordinary or seemingly unsubstantial, it seems like not enough. Our hunt for that one grand design continues. We ravage books on anything that will help us find the neon sign of God’s will for our lives. Meanwhile, you may be reading this blog in between diaper changes and laundry cycles. Or maybe you’re munching away on your lunch at your desk with papers to file on the left and accounts to enter on the right. So, what does this mean exactly? Does God only have a purpose for some of us and the rest are just fodder for the world economy or babysitters for the next generation? Are we “ordinary folks” the rejects God decided He couldn’t use for any truly meaningful life purpose? Or does God have some top-secret design for our lives and we just haven’t performed the correct magical ritual to unlock it–the five simple steps to discovering our purpose? Of course, there’s a very real way to miss out on God’s plans for you. If we aren’t willing to obey what He says, we will not be in His will. Yet, there are those of us who have prayed heartfelt confessions of submission so many times and we’re still searching for the plan. Now, if God said to me, “Go,” I was sure I’d be the “Here am I, send me” kind of girl. I’d be like an audience member picked to be on The Price is Right, screaming my head off all the way to the stage in wild excitement. But there are times when it feels like our names just aren’t being called. Others take the stage and are commissioned. We clap for them and listen even harder for our turn. Perhaps, though, we need to stop searching for one sole purpose like there’s only one point to our life. The truth is, God has a plan for you and that plan involves here and now and not just tomorrow. “If you have ever struggled to find meaning in your life, consider this amazing truth: You were created for Jesus. You weren’t created incidentally as a by-product of the rest of creation. You were specifically designed for Him. You are a bride, handpicked for the Bridegroom; or an adopted son, chosen specifically by His Father” (Worship the King, p. 104). Why are you here? What’s your grand purpose? What’s God’s plan for your life? Today that might mean dishes, diaper changes and laundry—with a cheerful heart, fully invested in the physical, emotional, and spiritual well-being of the children God has specifically placed in your care. Today it might mean praying for a coworker in the next cubicle over. It might mean quitting one job and starting on another. It might mean mentoring a younger woman or meeting with your neighbor for coffee. God doesn’t just have a plan for your life: He has a plan for your every day. Don’t become so focused on the grand design that you miss the beautiful, God-ordained moments of ministry He brings across your path today and tomorrow and the next day. When she was born, my mother-in-law was away on a missions trip to an Indian reservation out in the Dakotas. We made the call announcing our youngest daughter’s birth just in time to reach Grammy before she left for her missions work that day. As any proud Grammy would, she shared the news with her roommate that baby Catherine had arrived. It’s something I’ve pondered as I watched my baby–so assured of her own mind—turn into a toddler—set on sharing her mind. I can see the hints of leadership, yes, even authority crammed into the body and soul of a toddler. Tucking away memories, impressions, and glimpses at her developing character, I feel a little like Jesus’ momma, Mary, who treasured things up in her heart. Holding that ordinary seed in our hands, we can’t begin to imagine the potential for beauty and nourishment within once it receives proper care and tending. The only hint we have of the future is the picture on the package and sometimes even then we’re surprised. When we planted this year, we set aside one long planter for carrots and excitedly covered over about 20 seeds with 1/4 inch of dirt. Within a few days, shoots of green appeared, but strangely enough, they didn’t look like carrots. In fact, they looked identical to the radish sprouts now growing up in other pots. I think perhaps my daughters got a little ambitious with the radish seeds and planted them in places I didn’t expect. Sometimes we look at people or ourselves and see plain, brown, ordinary, small, and insignificant specks. Mystery seeds. If we’re particularly imaginative, we might even think we see the potential for carrots, only to learn later that God really designed us to be radishes. Surprise! The truth for Gideon and the truth for us is that God looks at us and sees beyond all of our failings and fears. Not only that, but He’s also not limited by our skills and talents. He doesn’t see the potential of what we can do on our own; He sees the potential of who we are with Him.